According to unconfirmed reports, Qualcomm will out it’s first true 8 core processor which will be 64 bit enabled in H2 2014. 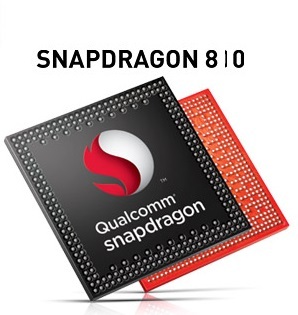 The Snapdragon 410 is officially unveiled and the specs are widely known. It however is lower in the hierarchy. The design is not like the big.LITTLE as was used in the Exynos chipset of the Galaxy S4, the Snapdragon 810 will utilize all of it’s 64 bit enabled cores. Some of this may seem far-fetched but if it is true, Qualcomm may have a winner on their hands. The Tegra K1 on the other hand has two versions, one of which is 64 bit enabled. The real power of the Nvidia chipset lies in it’s GPU. The Kepler architecture based GPU has 192 CUDA cores which really does well in benchmarks. The Tegra K1 really shines here, trouncing a full laptop integrated GPU, the i5-4200U has a 17W tdp for the whole chip while the K1 does it’s magic in just 5W. The Adreno 420 is 40% faster than the Adreno 330, the Adreno 430 in turn can be expected to be 40% more faster than the 420. For now, the K1 is the king when it comes to tablet ( Or possibly mobile) SOC’s. The usability Qualcomm chipset will depend on the tdp it offers. This really turns the heat up, the adoption rate for Qualcomm chipsets is quite high. The Snapdragon 600/800 have featured in many smartphones like Galaxy S4 etc. 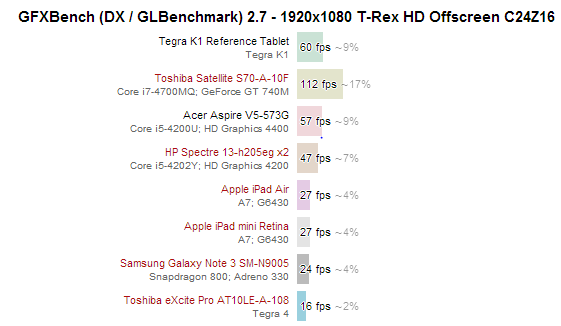 On the other hand, Tegra 4 has not seen such popularity, humbly working in few devices like Nvidia Shield etc. Stay tuned for some fierce competition in the mobile chipset world.